04.12.2018: Motorcars are racing through bumpy gravel roads or storming their way towards the Formula 1 Eau Rouge; it is always a thrill to watch these bad boys make their way on the road or the tracks. Motorcars are racing through bumpy gravel roads or storming their way towards the Formula 1 Eau Rouge; it is always a thrill to watch these bad boys make their way on the road or the tracks. Motorcars are the dreams of people who are not only passionate but dedicated towards the heat and rush that racing comes with. It’s all about the machines that drive these beauties in all the glory of their marvelous designs and liveries. If you are already betting with harrah's race & sports book, we are sure this article will interest you. No matter if you name a Porsche 956, a Peugeot 205 T16, a Maserati 250F, or a BMW E30 M3 these machines are a thing of dreams. Let’s take a look at a few other classic race cars that will remain embedded in every petrolhead’s memory. Immortalized by Ayrton Senna, there couldn’t possibly have been a more iconic pairing for F1. This beast has had a history of winning 15 out of 16 races in the year 1988. Juha Kankkunen’s dedication towards the game was said to be paralleled only by the coolness and the radness of the Peugeot 205 T16. Don’t they make cars like these anymore? The Canadian-American Challenge cup sure wasn’t expecting this 1,100 bhp and 850 KG beast to win six of the eight rounds, was it? It is hard to believe that a car as pretty as the Maserati 250F would not only be a straight-six-powered beast said to be the best front-engined car Stirling Moss ever drove. It is claimed that this 250F machine won two world championships with Juan Manuel Fangio. 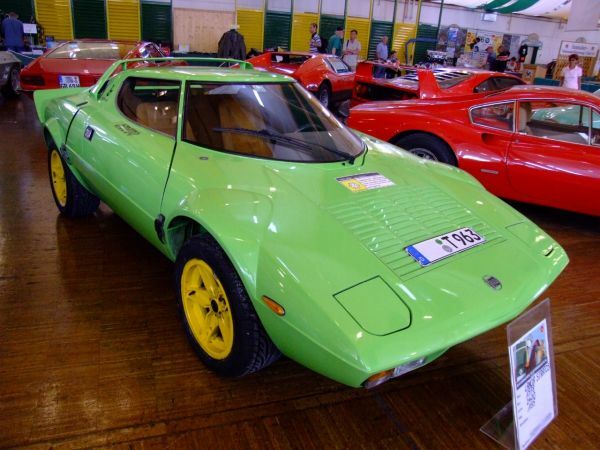 What if we told you that Lancia Stratos was actually designed as a rally car only from the outset while it was, as a matter of fact, the first every car to by purpose-designed for a rally. You won’t be able to take your eyes off the impeccable styling by none other than Marcello Gandini of Bertone. A testament of genuine thinking and designing, the Tyrrell P34 Six Wheeler was only compromised because Goodyear failed to develop and improve the 10-inch tyres. However, it mustn’t go without notice that it was never outlawed in the year 1976. Imagine just how awesome a car had to be to get a name. After all, it wasn’t a common fate for racing cars of the time. This car was the prototype of all Le Mans in 1978 with a record speed of 228 kph. How can we not include the most adaptable racing car in the world, right? The year 1987 saw this baby rocking seven touring car championships, two hillclimb championships, two rally championships and a straight-out win at Rally Corsica. Do you have a personal favorite from this lot? Let us know in the comments below.